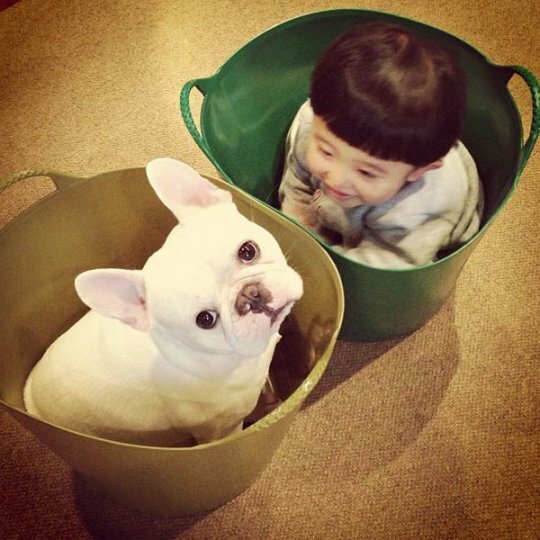 Dog and Kid Friendships - So Cute, You Will Just Go AWWWWW! It’s a well-known fact that dogs and kids are some of the most lovable creatures on the planet. So clearly, combining these two things can only result in heart-melting cuteness. As proof, here are eight examples of kids and dogs hanging out together. 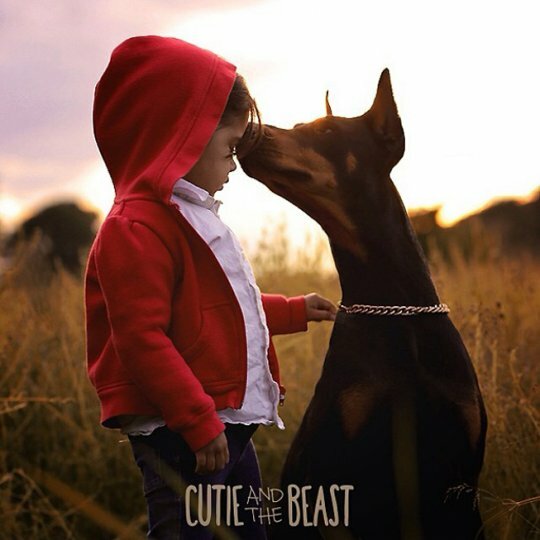 This little girl is well protected by her friendly, and large, Doberman. Lucky for us, there’s an Instagram account dedicated to documenting their perfect friendship. This dog must have the patience of a saint. How else can you explain why he’s able to so calmly let a toddler use his tongue as a play-toy? 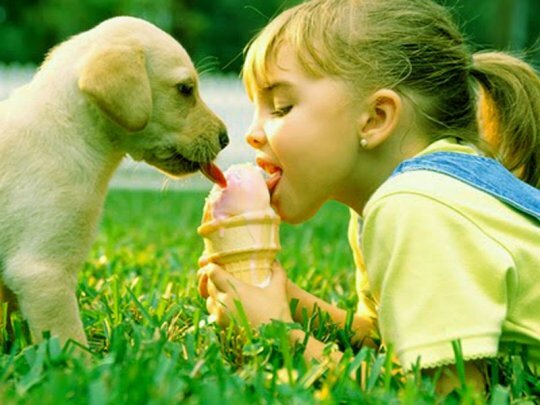 This picture of a little girl and her puppy sharing an ice cream cone is completely precious. We just won’t think about how unhygienic this probably is. What could be more awe-inducing than a tiny puppy and his human friend sharing a nap on their mother? The answer, of course, is absolutely nothing. 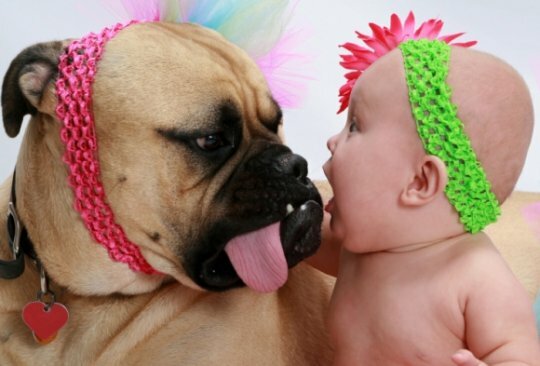 It’s hard to tell if the baby and dog are excited to be wearing matching headbands, or if they want nothing more in the world than to take them off. Either way, the matching headwear makes for one cute photo op. Combining three teeny tiny puppies with a newborn baby results in a cuteness that’s powerful enough to break the internet. We can only imagine how much of a handful this group is when they’re awake, but when they’re sleeping, they’re the epitome of adorableness. This little boy and his bulldog know how to have a good time together. Play time in this house must always be a blast. It’s not clear if this little girl has a valid medical license. 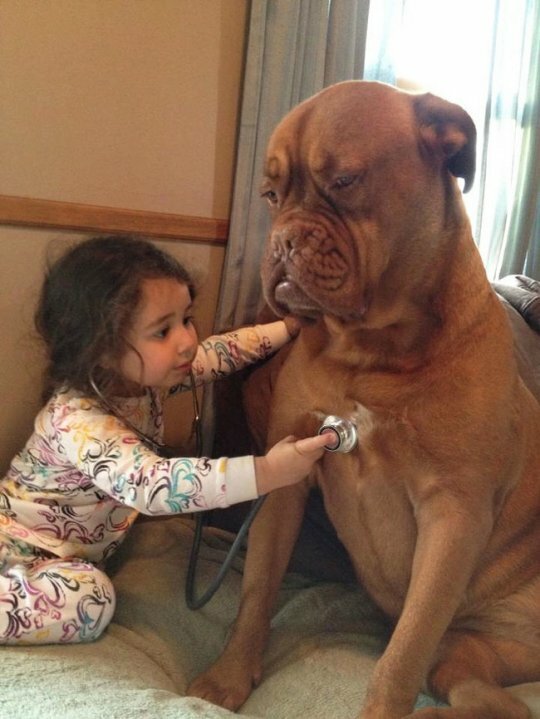 Even if she doesn’t, she’s doing a great job checking up on the health of her furry friend.